Our Scholarship Program offers an opportunity for high school seniors pursuing a college, university or trade school education to apply for a financial scholarship award. We emphasize the need for trained professionals in the construction industry. However, scholarship applicants may choose to pursue any advanced course of education in any field. Scroll down for Eligibility and Application. 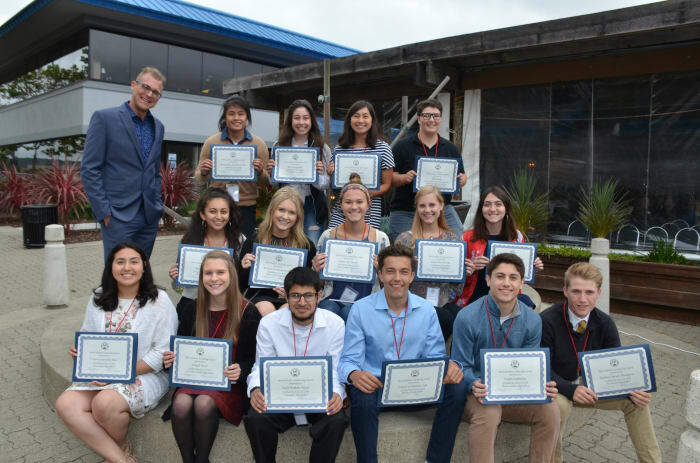 Since 1978 the Marin Builders Association Scholarship Fund has provided nearly $1 million in scholarships to deserving high school seniors. Our scholarship winners have gone into nearly every profession including the building trades and construction management. Our scholarship winners are the future leaders of our workforce and our community. The Marin Builders Association Scholarship Fund is a 501c3 Charitable Organization – direct contributions to the fund may be tax deductible to the extent allowed by law. Please consult your tax professional for any possible tax limitations. Tamalpais Paint & Color, Inc.